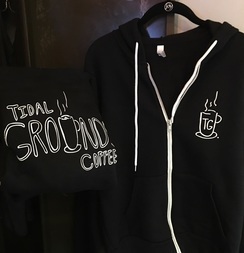 ​​WELCOME TO Tidal Grounds coffee! We will be closed Thanksgiving! Have a wonderful holiday! Delicious Local Pastries & Desserts...Yum! Try Our Refreshing Flash-Chilled Iced Coffee...mmm...! Have you tried our tasty Quiche? Bombs & Savory Puff Pastry! We enjoy serving the highest quality coffee, tea and pastries to our local Mount Pleasant community. ​All served in a super-friendly, unique, and energetic environment!